Hello. Fourth-quarter results from U.S. companies highlight the many and varied ways that China’s cooling economy affects American business, and, in turn, offer a glimpse of what’s happening in China, The Wall Street Journal reports. Case in point. EnerSys, which makes batteries that power forklifts, said its China sales fell in the latest quarter after rising 10% or more earlier in the year. “Given that forklifts are a good indicator of economic activity, their general economy has slowed, and maybe far greater than the authorities are indicating,” said Michael Schmidtlein, EnerSys’ finance chief. Modest slowdown, big repercussions. China’s size and rapid growth in recent years, together with the expansion of American businesses within its economy, mean even a modest slowdown can be felt along supply chains that stretch world-wide. About 60 of the biggest U.S. companies generate 10% or more of sales there. Slowing, not stalling. Despite slowing, China still posted economic growth above 6% last year, easily surpassing the U.S. and Europe. The country’s 1.4 billion people and rising middle class bought nearly $52 billion worth of iPhones and other Apple Inc. products in the fiscal year ended on Sept. 29. But, iPhone sales in China slumped far more than overall smartphone sales there last quarter, costing Apple Inc. further ground against local rival Huawei Technologies Co.
U.S. Trade Representative Robert Lighthizer arrived in Beijing earlier on Tuesday ahead of high-level talks scheduled this week for the U.S. and China to agree a trade deal ahead of a March 1 deadline, Reuters reports. South Africa is bracing for a third day of power shortages as state-owned energy company Eskom Holdings SOC Ltd. is experiencing ongoing problems at two new coal-fired plants. Eskom is set to be split into three parts as part of a plan to rescue the company, Bloomberg reports. Molson Coors Brewing Co., Tripadvisor Inc., Activision Blizzard Inc. and Occidental Petroleum Corp. are among the companies scheduled to report earnings today. Amazon.com Inc. slashed prices after acquiring Whole Foods in 2017, but pressure from consumer-product makers has led the grocer to raise prices on hundreds of products. In its largest acquisition since the financial crisis, Morgan Stanley is paying $900 million for Solium Capital Inc., which manages the stock that employees receive as part of their pay. Peloton Interactive Inc. is interviewing banks this week for roles on an initial public offering, taking a step toward an IPO this year, according to people familiar with the matter. Nissan Motor Co. lowered its projections for vehicle sales and profit for the fiscal year ending March 31 and booked a ¥9.2 billion charge to cover the costs of deferred compensation it says was promised to former Chairman Carlos Ghosn. SoftBank Group Corp. is investing almost $1 billion in robotic-delivery vehicle startup Nuro Inc., a hefty injection of capital that could help accelerate the race to put driverless vehicles on the road. International Consolidated Airlines Group SA, the owner of British Airways, has put a cap on the number of non-EU investors who can own its shares in preparation for a potential no-deal exit of the U.K. from the European Union, the Financial Times reports. Restaurant Brands International Inc., the parent of Burger King, Tim Hortons and Popeyes Louisiana Kitchen, is marching ahead on expanding the international presence of all three brands. 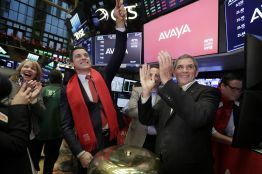 Telecommunications company Avaya Holdings Corp. named a new chief financial officer on Monday, reshuffling its management team as it advances its new corporate focus on software and services. The Santa Clara, Calif.-based company appointed Kieran McGrath senior vice president and CFO effective Feb. 15. Current finance chief Patrick O’Malley will transition to the role of senior vice president of growth initiatives, CFO Journal’s Ezequiel Minaya reports. Avaya shifted its strategy to target software and services, and away from hardware sales, when it emerged from chapter 11 bankruptcy in 2017. Its new finance chief must now help balance investments in the company’s new direction while continuing to pay down debt, analysts said. President Trump is weighing an executive order that could ban Chinese telecommunications gear from U.S. networks, but the plan is facing resistance from U.S. carriers in rural areas whose networks run on Huawei Technologies Co. equipment. Johnson & Johnson Inc. won’t have to hold a shareholder vote that would have made the company a guinea pig for a politically divisive fight over class-action lawsuits. The U.S. Securities and Exchange Commission told the company it could choose not to hold a vote on a proposal to push all suits brought against the company by its shareholders into private arbitration hearings. A criminal trial starting this week may shed more light on a high-profile scandal at KPMG LLP: an effort to help the Big Four accounting firm look better to its regulator that prosecutors say broke the law. The U.S. Food and Drug Administration said Monday that it sent letters to 17 nutritional supplement manufacturers alleging that the companies are illegally selling more than 58 products with the improper claims they can prevent, treat and cure serious diseases, including Alzheimer’s. 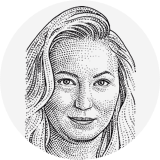 Moda Operandi Inc., the New York-based luxury shopping website, on Monday named Kristina Salen as its chief financial officer. She succeeds Hoddi Hafsteinsson. Ms. Salen was most recently CFO and chief operating officer of UnitedMasters, a musician marketing company, from July 2017 to October 2018. Before that, she served as CFO of Etsy Inc. from February 2013 to March 2017. Compensation details weren't available. Oscar Health Insurance Corp., a New York-based insurer, named Sid Sankaran as its new CFO, effective March 1. Mr. Sankaran was most recently executive vice president and CFO at American International Group Inc., a role he held since 2016. 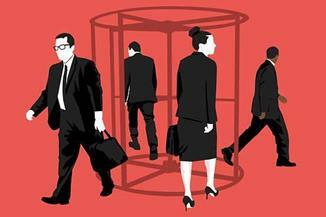 Before that, he served as AIG’s chief risk officer for five years. Compensation details weren't available.